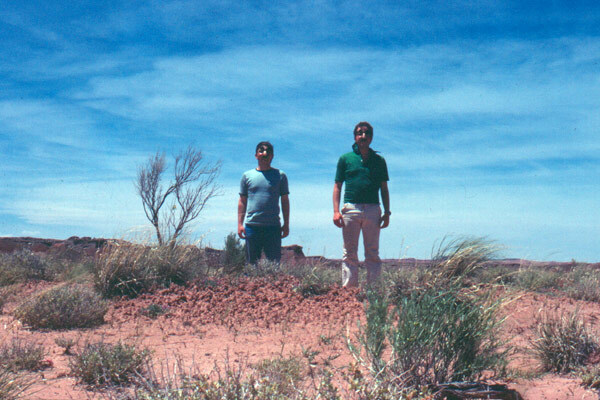 Mike and I did a lot of backpacking in the late ’70’s & early ’80’s. One of the running jokes we had was Jews In The Woods. It had several components. The first was simply the incongruity of us being anywhere other than our middle-class suburban living rooms. 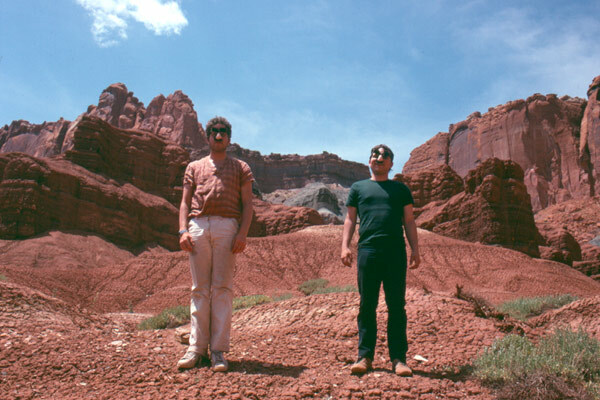 The mere fact of us out in the huge spaces of the West was a little jarring to us. We were nerds before the word was known (to us) and a little too hung-up to really cut loose. Perhaps our parent’s had raised us too well. Despite our limitations in the outlaw rebel department we did have a good time. Part of that was the humor. Jews In The Woods dialogue went in two directions. One was the conversations of Sol & Abe where we’d comment on the lack of amenities to be found at hand in the voice and mannerisms of older relatives. The other direction was a la Mel Brook & Carl Reiner’s 2000 Year Old Man skits. One of us would take on the role of The Lord while other would interview his mightiness, praising His handiwork at creating the natural beauty we were tramping through. The Lord would have the same accent and mannerisms as Sol & Abe. 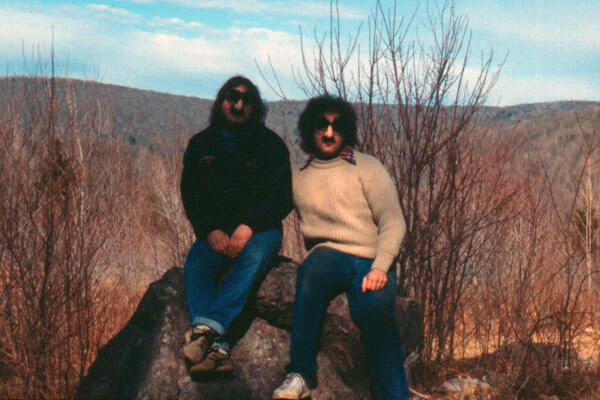 To add a visual flourish to the bits we brought along a pair of nose-glasses and photographed ourselves, as Sol & Abe in various National Parks. Three decades later, I’m not sure why we went through the trouble of taking the pictures. It probably seemed like it was good for a laugh. These scans of old slides nicely capture the awkwardness of youth uncomfortably out of their natural suburban elements. Once while we were driving on an mid-western interstate a station wagon passed us. The family inside the car were all wearing nose-glasses. They waved and sped on. 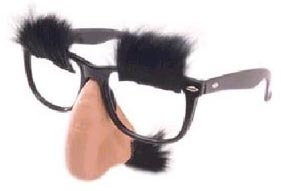 Of course we had no option other than to get our own nose-glasses on and catch up. The writer in me feels that the anecdote needs more – that Mike & I tracked them down and murdered them. Or fell in love with the daughter. But we just shared a moment at 60mph and it was enough.